A clean house makes life more satisfying and peaceful. Whether you’re getting ready to list your home for sale on the open market or are simply wanting to spruce things up, a good clean is a necessity. Here is a list of tips and tricks that will get your house in tip-top shape for the new season. Start by stripping all beds and washing the sheets, pillow covers, and comforters. If desired, hang them on a clothesline outside so they air-dry! Open up each drawer in a dresser, cabinet, etc. Empty it, wipe it out with a damp paper towel, and wash what’s needed. Fold neatly, and put everything back in the drawer. Go through your closet and decide what you want to keep and what is not necessary. Donate all that you don’t wear. Dust off all furniture including tables, shelves, bookcases, cabinets, and any other flat surface that may collect dust. Dust picture frames and lamps, as well. Deep clean all bathrooms. Start by wiping every surface, such as the countertops and mirrors. 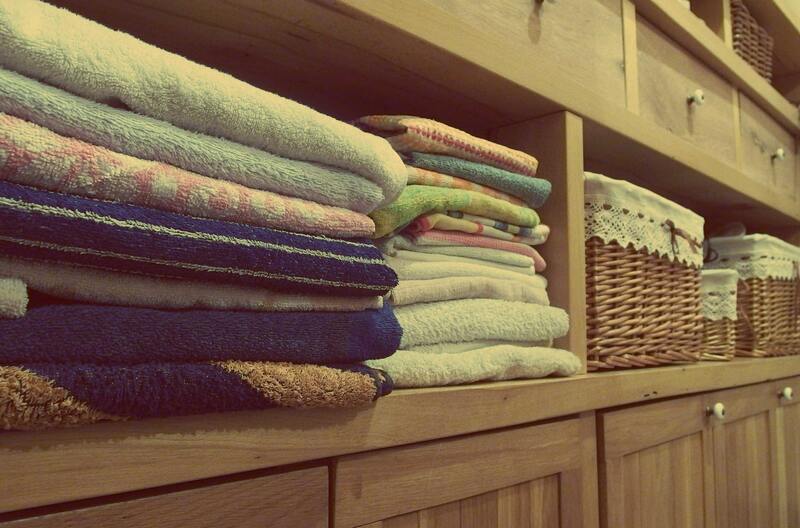 Wash all linens in bathrooms, such as towels, bath rugs, and washcloths. Empty out all cabinets and search for expired products such as makeup, shampoo, conditioner, lotions, etc. Put away all the items in the kitchen that are creating clutter. After wiping off the countertops, the fact that they are shiny and uncluttered will give it a fresh and clean look! Wipe down the windows and be mindful streaks. Giving the windows a quick wipe makes a lot of difference! Do these things and I’ll bet your home will feel brand-new!